OMGOSH...THEY HAVE ARRIVED! The Linda Biggs Rolling Tray has been in the making since Dec 2017. and they are NOW Available! With much anticipation and frankly the STRESS of "will they ship, and arrive on time, for all the events" ... we will have them at all the festivals! We are offering a WEBSITE special, each Linda Biggs Rolling Tray order will get some Fancy Faire SWAG in their delivery! These Fantastical Trays are just $10.95 each. 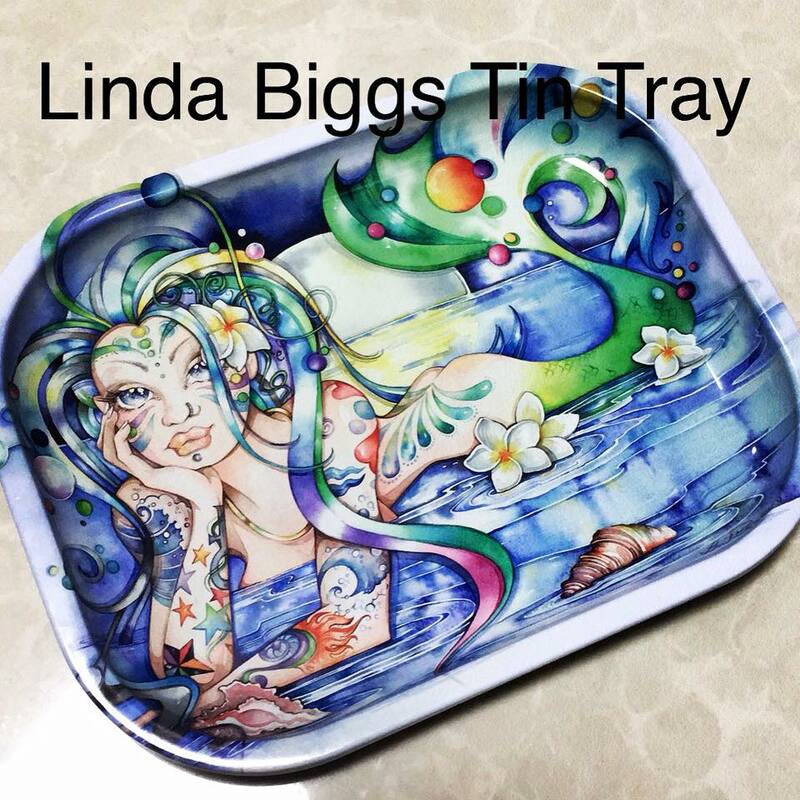 It will take about 2 weeks to get the all the NEW orders sent out, but we R so excited to be offering this Special Tin Tray...with the very popular image "Dark Shores"
Thank you for all you support.